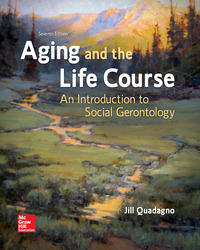 - This program examines the relationship between quality of life in old age and its experiential catalysts. - Throughout the text an emphasis is placed on the intersectionality of race, class, gender, and culture, and how these classifications affect quality of life. Students will come away with a broad background for understanding crucial and current policy debates.